Revitalization efforts are helping area communities reclaim downtown. You Turned a Profit—Now What? The “what next” phase of turning a profit is an area where many businesses are hovering in uncertainty. Whether you’re selling a product or a service, there are some key considerations to keep in mind when setting prices. Being professional goes a long way when it comes time to collect. Feel like your office holiday party plans aren’t taking shape? For inspiration, check out how other South Jersey businesses do the holidays. Mario Pinardo, president of Achievement Dynamics Institute, provides us with his five steps to delivering an elevator pitch. Use your smartphone to scan our new QR code! 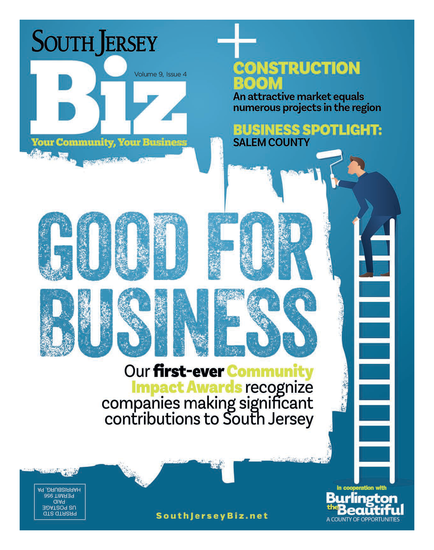 This image will take you to our website, SouthJerseyBiz.net, where you can find features, web exclusives, contests, local events and more.